In celebration of the birth centennial of National Artist for Literature Nick Joaquin, UP Playwright’s Theatre is staging his masterpiece entitled “Fathers and Sons” under the direction of Tony Mabesa at the Wilfrido Ma. Guerrero Theater, 2nd Floor Palma Hall, UP Diliman, Quezon City. Aside from the original piece of Joaquin, UP Playwright’s Theatre will be doing the Filipino translation of the play done by National Artist for Literature Virgilio S. Almario and multi-awarded writer Jose F. Lacaba entiled Mga Ama, Mga Anak. This is part of UPPT 26th Theatre Season dubbed as Honoring Defiance. 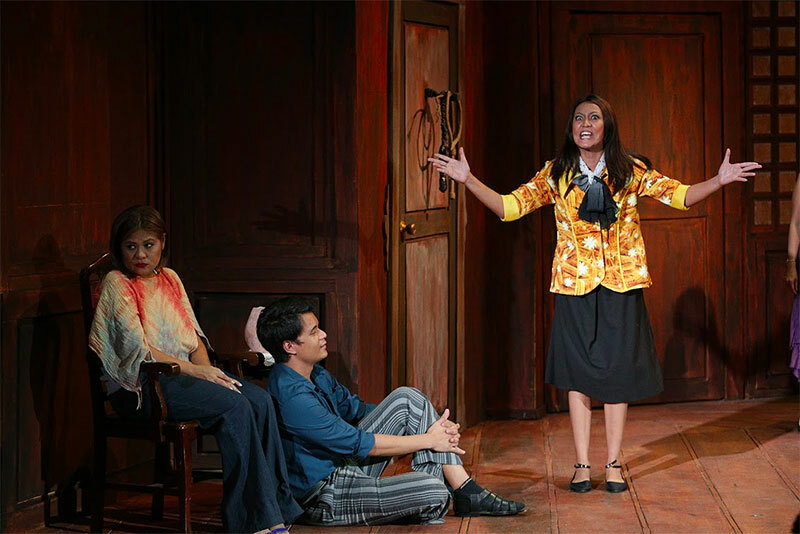 The play is set in the mid 70’s, this three-act play revolves around a day in the life of Zacarias Monzon, a man once known as the Caritela King. During the last few days of his life, he attempts to regain his reputation while reminiscing his past wealth, power, and success. The Joaquin classic dares to reveal the cycle of atrocities that linger in a patriarchal household as it resonates themes of identity, resistance, and acceptance. Joining the powerhouse cast are veteran and seasoned stage actors incluing Leo Rialp and Menggie Cobarrubias alternate as the Caritela King, Zacarias Monzon. 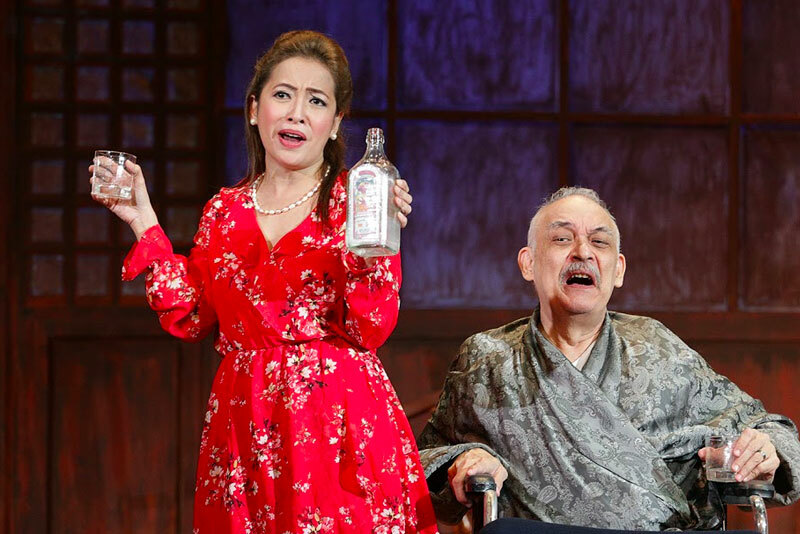 Other members of the cast include: Rody Vera, George de Jesus III and Greg de Leon (as Celo, Zacarias’ son); Stella Cañete-Mendoza, Banaue Miclat-Janssen (as Nena, the spinster daughter of Zacarias), Adriana Agcaoili, Issa Litton (as Sofia, Celo’s socialite wife), Belen Calingacion, Olive Nieto (as Mrs. Paulo, Caritela King fanatic), Carlo Tarobal, Tracy Quila, Mark Dalacat (as Chitong, Celo’s son), Candy Pangilinan, Paula Benitez, Sarina Sasaki, Chloe Jenna (as Bessie, a go-go dancer), Vincent Macapobre, and Ian Ramirez (as laborers). Tony Mabesa is the founding artistic director of Dulaang UP (DUP) and will be working with the artistic team composed of Ohm David (set), Eric Pineda (costumes), Meliton Roxas Jr. (lights), Jethro Joaquin (sounds), and Charmaine Aranton and Nour Hooshmand (dramaturgy) for this play. 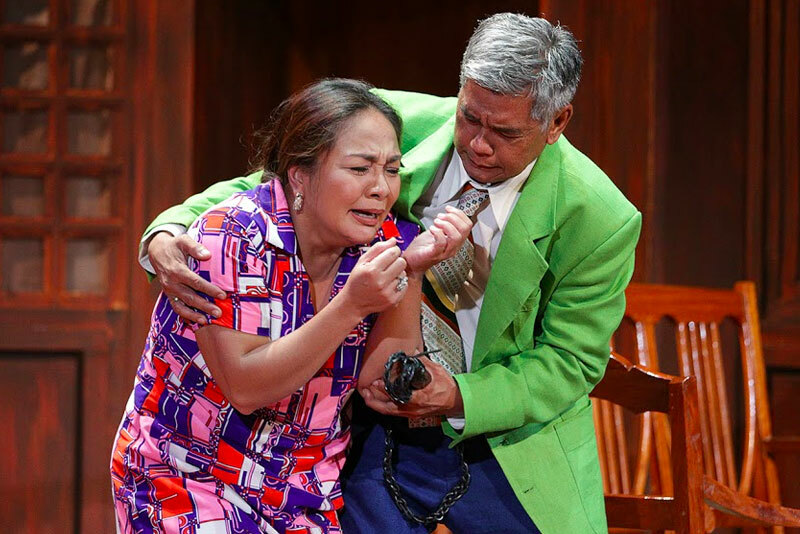 Catch the final week of Fathers and Sons / Mga Ama, Mga Anak Wilfrido Ma. Guerrero Theater, 2nd Floor Palma Hall, UP Diliman, Quezon City from September 22-24. Tickets are available at the theater lobby or contact Dulaang UP Office (Tel. No. : 926-1349 / 981-8500 local 2449 / dulaangupmarketing@gmail.com).